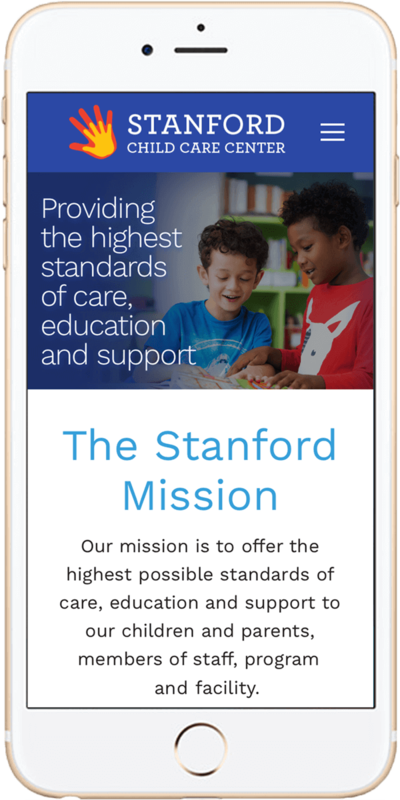 Stanford Child Care Center, located on Long Island, provides quality education to young children. 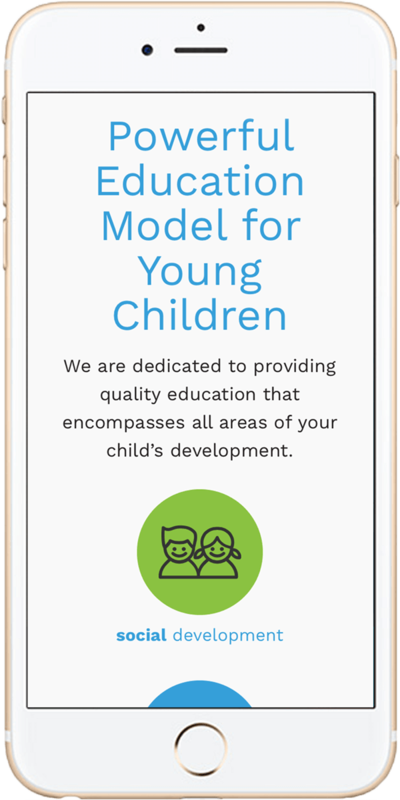 The challenge was to update their brand and website in a way that represented the quality of the school while maintaining a playful approach to reflect the personalities of a young age group. The new logo is similar to the old logo and is composed to two overlapping hands, but looks more modern and clean than the former logo. The new color palette is composed of mainly primary colors that are clean and simple, yet still fun while the cheerful photography helps audiences visualize the target age group. 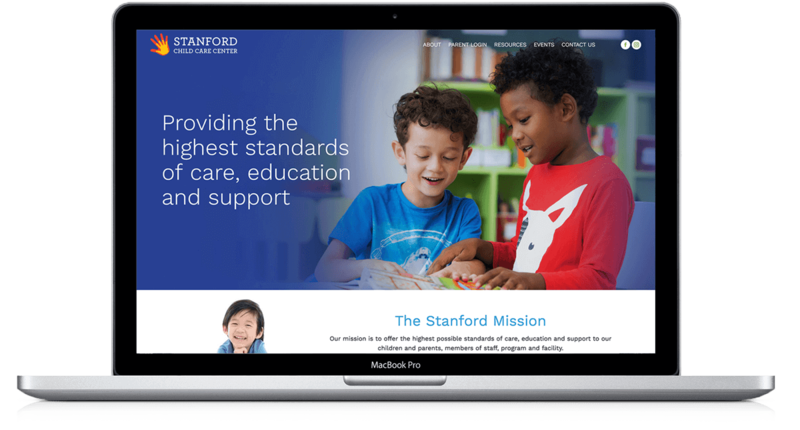 Stanford Child Care Center was inspired by Apple’s clean look, so the new website was built to reflect that sleek and modern style.